Students participating in our Margins: Los Angeles program will specifically study the CRIMINAL JUSTICE SYSTEM, evaluating and investigating the experiences of the incarcerated, undocumented, and homeless in the United States. 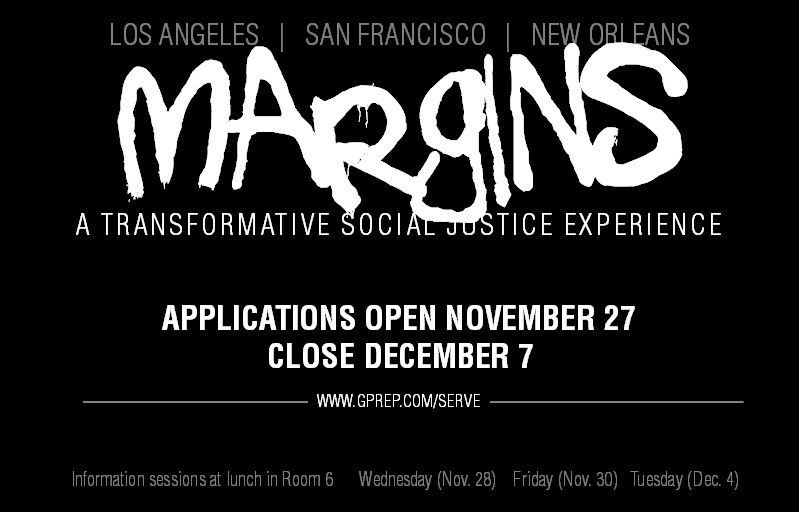 Grounded in our Jesuit tradition of walking with the poor and marginalized, Margins: Los Angeles will invite students to learn from those who lives could be, have been, or are presently affected by the criminal justice system. Students will spend time with the incarcerated, witness an immigration trial, dialogue with former gang members, learn from those who are homeless, stay in an inner-city community, and much more. 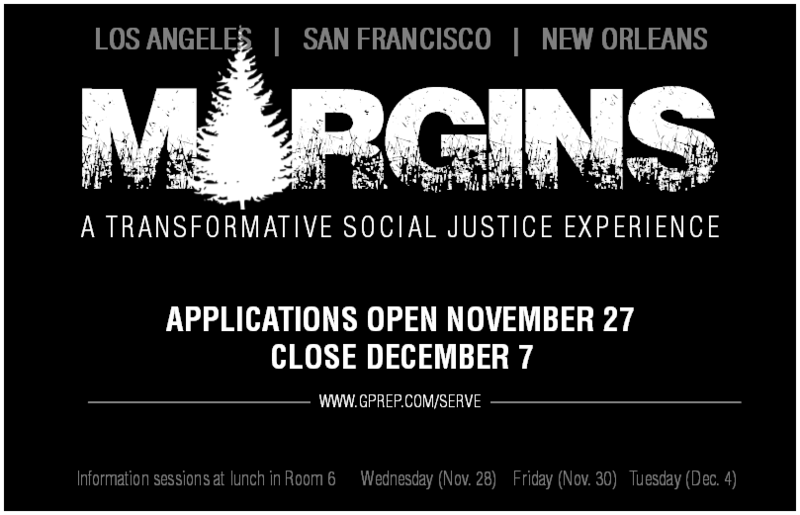 Students participating in our Margins: San Francisco program will specifically study ENVIRONMENTAL JUSTICE, evaluating and experiencing the natural, ecological, and social impact of our environmental conditions. Grounded in and inspired by Pope Francis’ Laudato Si (an encyclical calling for the improved care of our planet) Margins: San Francisco will lead students to a new understanding of the intersection and marginalization of critical environmental issues: pollution, ecological deterioration, recology, restoration, and more. Students will learn from leading experts, explore justice issues unique to our Pacific region, and accompany those most afflicted by environmental injustice. 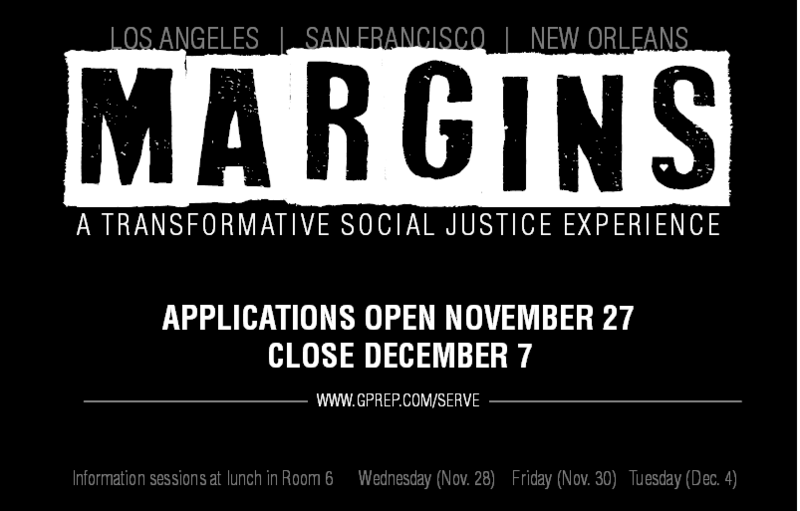 Students participating in our Margins: New Orleans program will specifically study ECONOMIC JUSTICE, evaluating and investigating the complexities of economic influence through poverty, disaster recovery, and extreme gentrification/segregation. Grounded in our Jesuit tradition of walking with the poor and marginalized, Margins: New Orleans will invite students to understand the complexities of poverty and the intricate ways by which it affects given populations. In a region rich in history, culture, and controversy, students will be challenged to make meaning of intense realities involving race, politics, and the still-prevalent impact of 2005's Hurricane Katrina. Students will interface with the poor and marginalized, local lawmakers, service providers, and experience the rich history of an infamous US city. One of Gonzaga Prep's most sought-after programs!